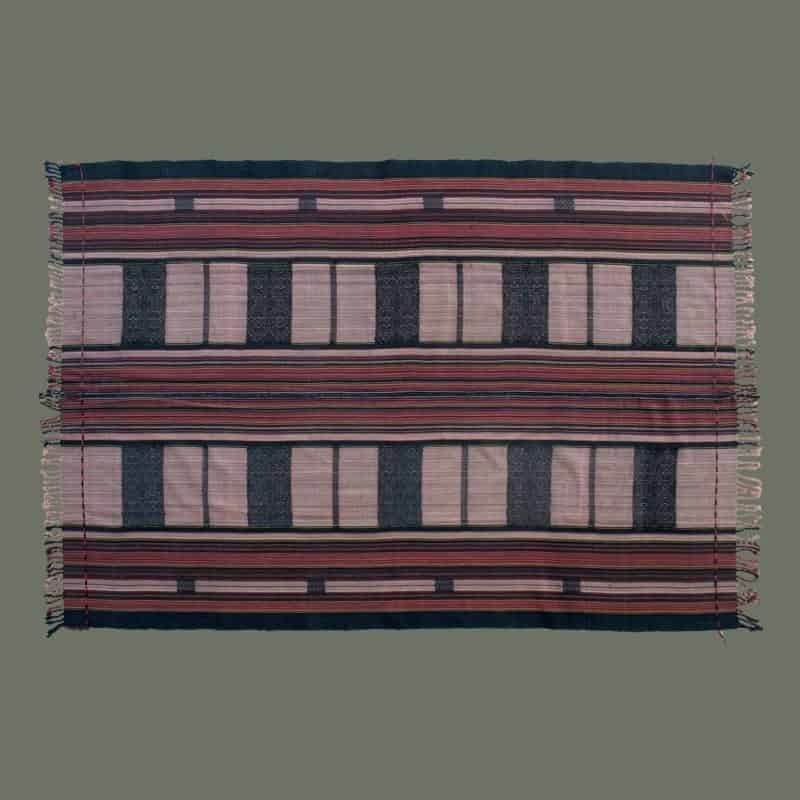 Finely woven and comprising two panels joined down the center lengthwise, this weaving is probably from a Chin group in Burma, tho we’re not sure. 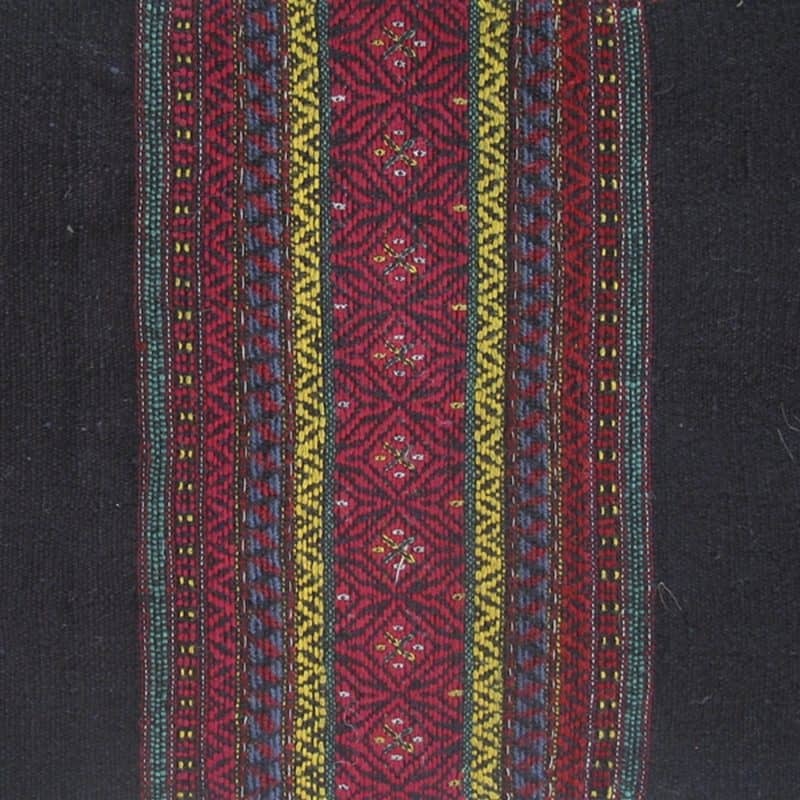 In new condition, the weaving is skillful and the colors pleasing. Even if it is recent production, it was clearly made carefully by a skilled artisan. The threads are commercial and of fine cotton, but the colors could be natural, especially the mauve/beige bands and the dark indigo- we’re not sure about the red or the yellow. 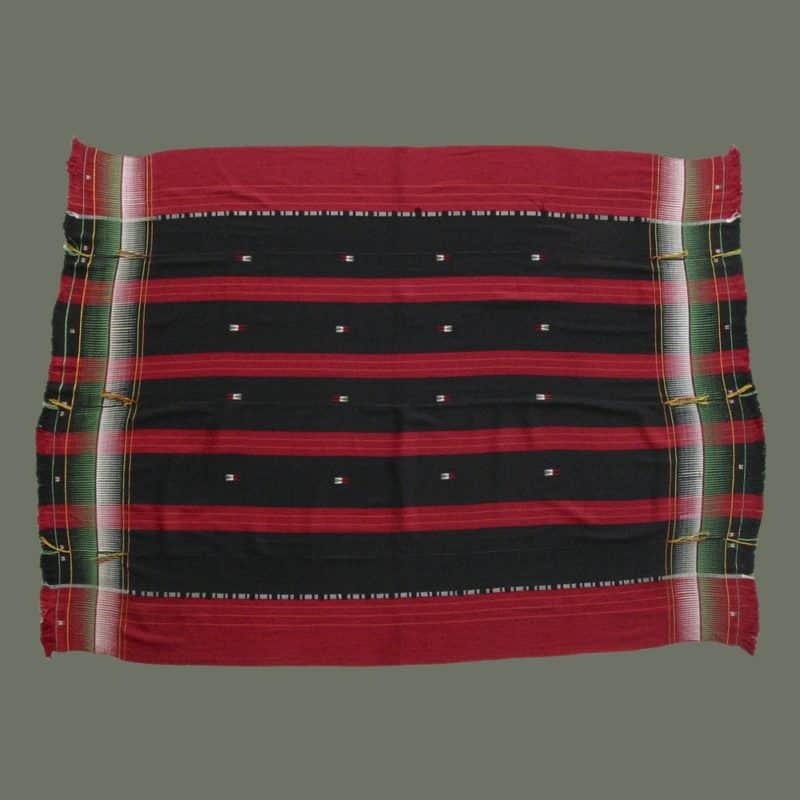 The horizontal decorative motifs are supplementary weft and remind us of Laytu weavings. The ends are nicely finished with braided and knotted fringe and a decorative border of alternating black and red lines. 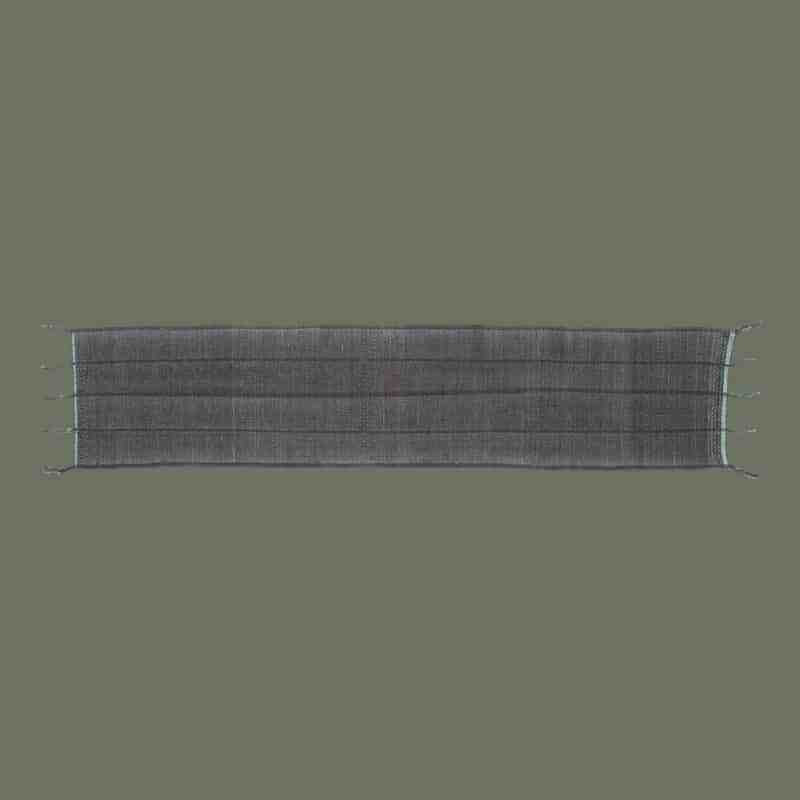 This is a lovely example of high quality modern handweaving. Of recent production, this is a very attractive version of a traditional costume element, with good weaving in attractive colors that may be from natural dyes. 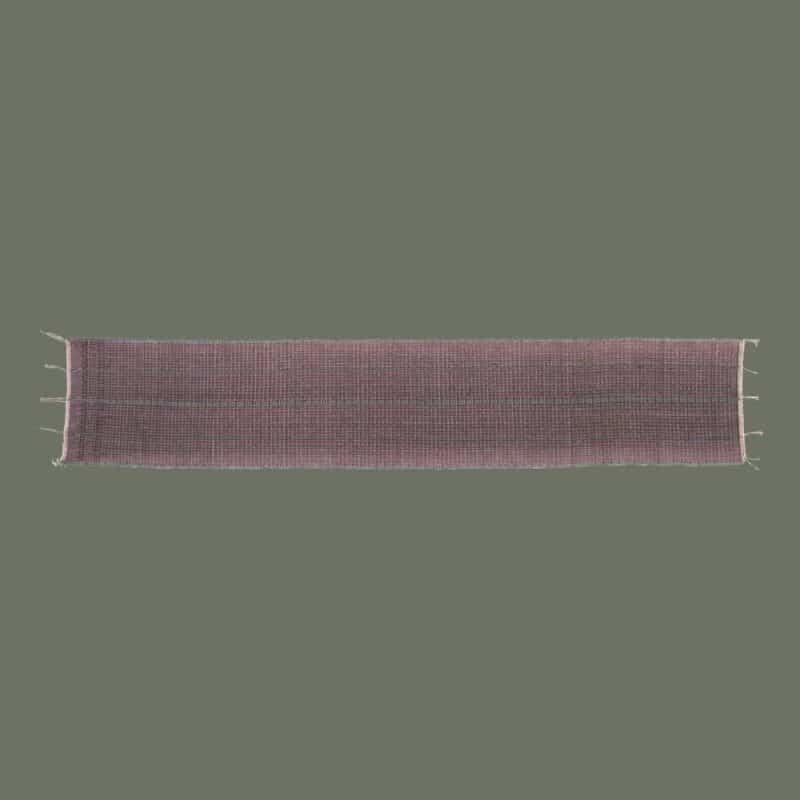 Woven in one panel, the width of a backstrap loom, it is all cotton and includes attractive details typical of the weavings from this region: nicely finished ends, and blind, weft-faced back. These make lovely runners, or could be cut and made into pillows. We have two alike, but are selling separately. 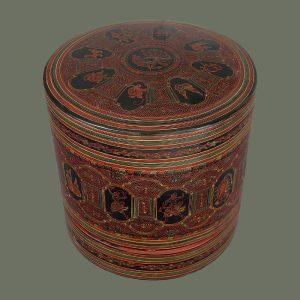 Of recent production, this is a very attractive version of a traditional costume element, with good weaving in attractive colors that may be from natural dyes. 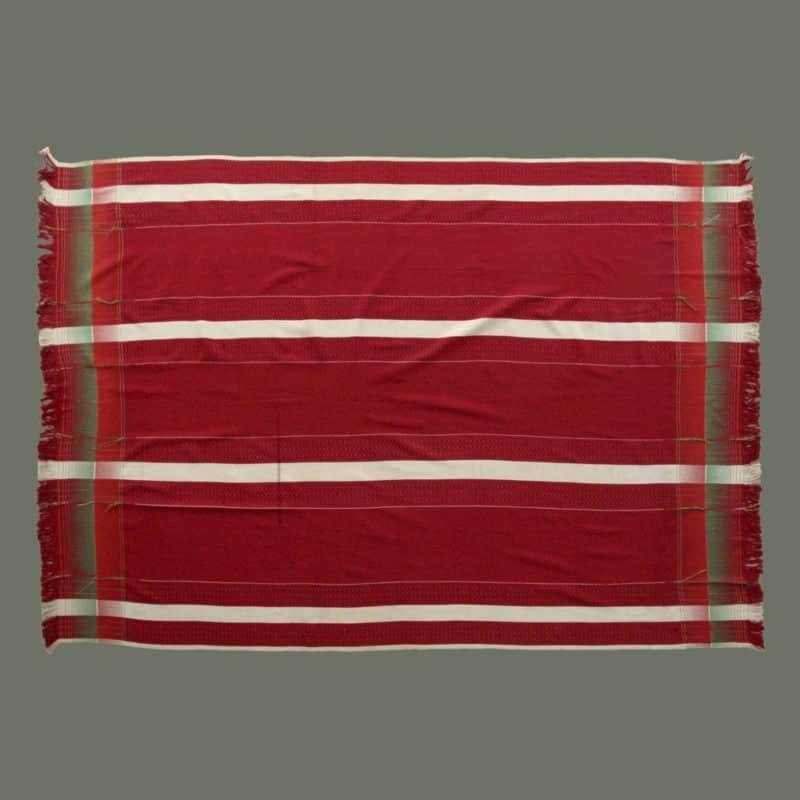 Woven in one panel, the width of a backstrap loom, it is all cotton and includes attractive details typical of the weavings from this region: nicely finished ends; blind, weft-faced back; and fine, intricate patterning. Soft grey/blue lengthwise bands nicely complement the dark red patterns. These make lovely table runners, or could be made into pillows. 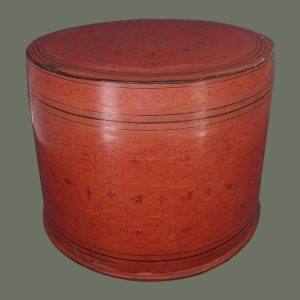 Of recent production, this is a very attractive version of a traditional costume element, with good weaving in attractive colors that may be from natural dyes. 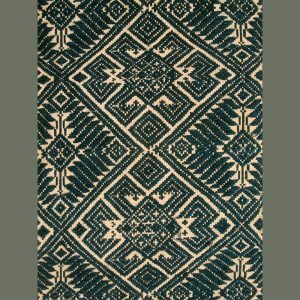 Woven in one panel, the width of a backstrap loom, it is all cotton and includes attractive details typical to the weavings from this region: nicely finished ends; blind, weft-faced back; and fine, intricate patterning. The colors of this are especially rich: a soft blue/grey and wine red. 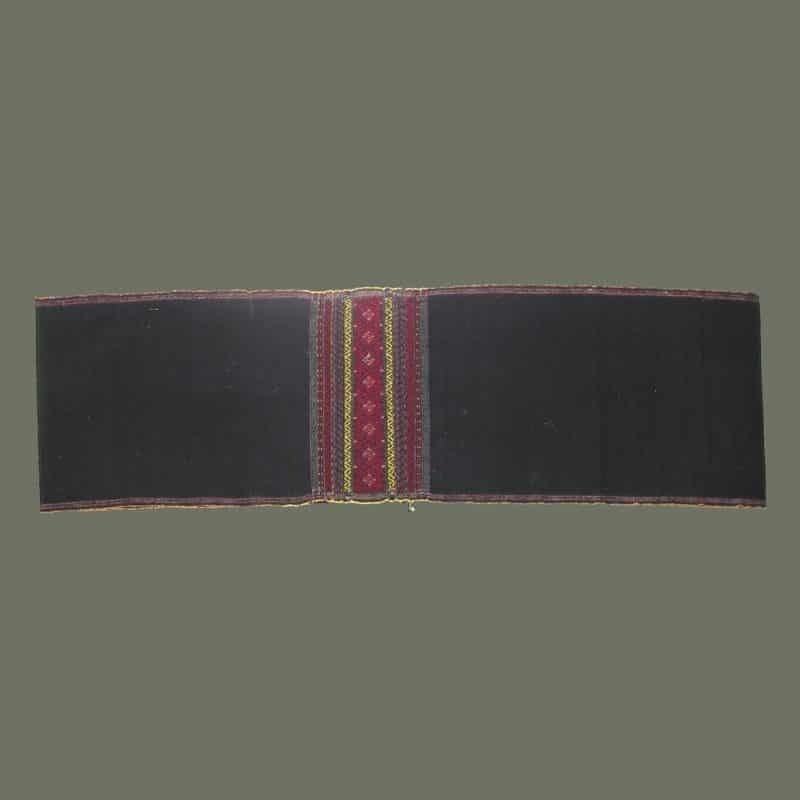 From the Tangkhul, a Southern Naga group living in India and Burma, this piece is usually used as a body wrap by women. Comprised of three panels handsewn together longitudinally, it is bordered on each end by weft-patterned spear-like designs in silk. The field is enlivened by various weft-patterned rectangles in silk.The center panel is quite complex with floating weft patterns in silk. Recently made, condition is excellent. 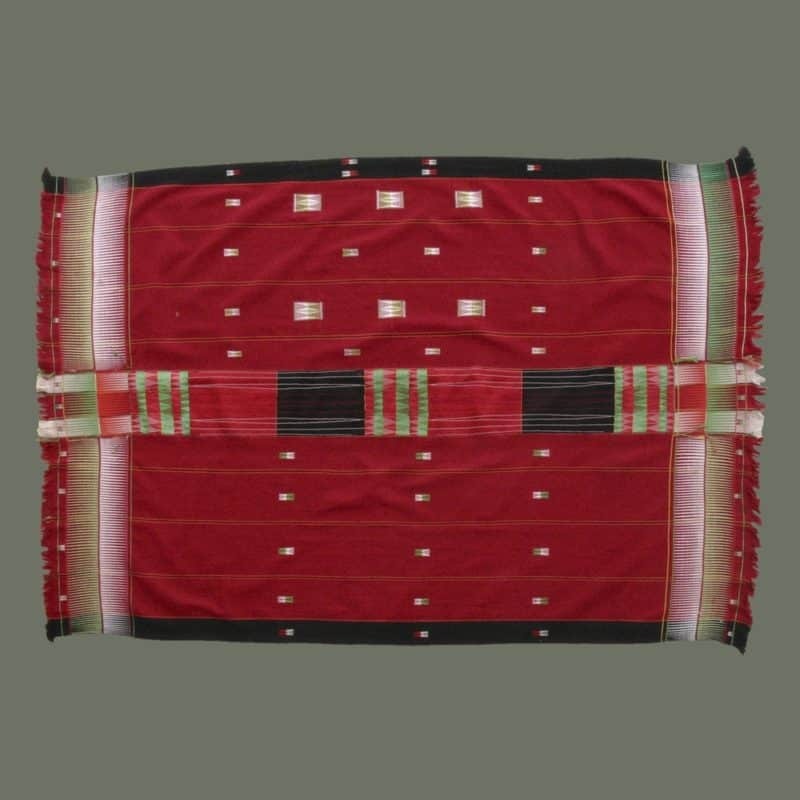 Making a refined, Minimalist statement, this piece from the Tangkhul Naga group living in India and Burma, is usually used as a body wrap by the men. Comprising seven panels handsewn together longitudinally, it is bordered on each end by weft-patterned spear-like designs in silk plus other finely woven details(see detail). Of the longitudinal panels, four consist of a cream-colored 2″ band flanked by striped bands in red, and white and black; the intermittent panels are solid red. Recently made, condition is excellent, tho there is light soil on the back and four pinhead-sized holes.